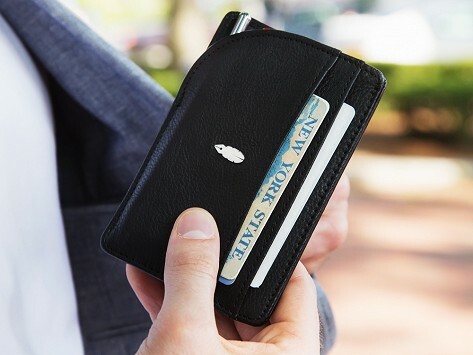 The slim notebook wallet combines two everyday carry essentials so you can always have a pen and paper at the ready—without needing to bring one more thing along with you. Tucked in the back of the leather wallet is a notebook with perforated pages and a petite copper pen. There’s space for cash and cards, and a pull-tab RFID pocket, too. Dimensions: 4.7" x 3.5" x 0.24"
John uses genuine leather in his designs, and has included a perfectly scaled-down copper pen to write anything from grocery lists to ideas and notes. And there's plenty of blank pages waiting to be filled.